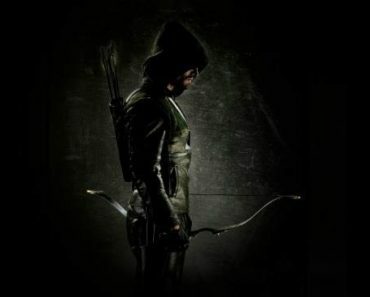 Arrow Season 7 Episode 7 Review: "The Slabside Redemption"
The first six episodes of Arrow Season 7 stripped Oliver Queen of all the power that he had possessed throughout the show’s previous six seasons. He was no longer the mayor. No longer the leader of a team of vigilantes. No longer the Green Arrow. 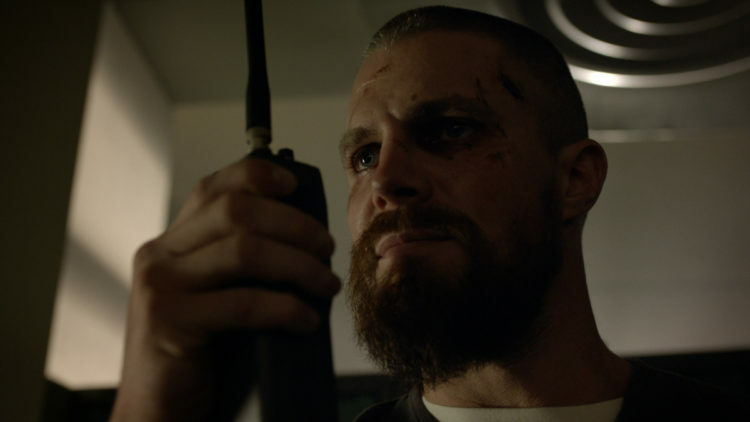 Throughout this prison arc, Oliver has found ways to wield some forms of control, whether it’s not succumbing to Brick’s orders or battling against Dr. Parker’s brainwashing methods. However, he still has been shackled (both literally and figuratively) by the constraints of jail, by assumptions of arrogant guards, by the antagonistic actions of his fellow inmates, by the need to keep his head down and play by the rules. 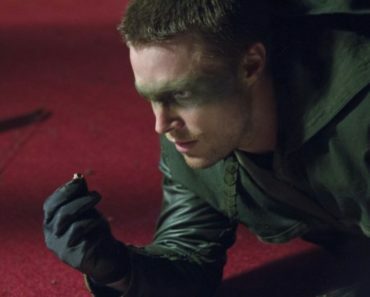 That’s why “The Slabside Redemption” is more of a cathartic hour of Arrow than a great or important episode; events play out mostly how viewers expect, but that’s okay because we enjoy most of what’s happening onscreen and because, after weeks of watching Oliver being mentally and physically tormented, it feels earned to see him using a homemade explosive to break free of his cell or defeating a deranged Stan with his hands tied behind his back. But it’s two moments at the end of the hour that serve as the most satisfying scenes of the episode: Oliver stabbing a drug-empowered Diaz, locking him in a prison cell, and leaving him to bleed out as Slabside continues to erupt in flames, and Oliver, bruised and blodied, walking out of the prison’s gates to find Felicity and Diggle standing there waiting for him, the two most important people in his life welcoming him back into the world. In past reviews, I’ve complained at length at how underwhelming a villain Diaz has been, so to be free of him (oh God, fingers crossed he’s actually dead and done with) feels reinvigorating, for both Arrow‘s characters and the show as a whole. There’s no undoing the damage of Diaz’s arc from last season; what’s done is done. 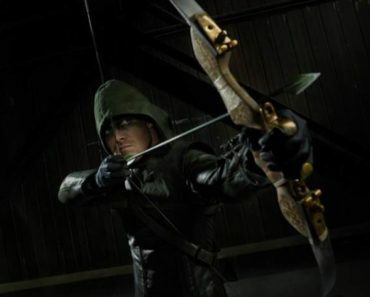 However, Beth Schwartz and her writers’ room in Season 7 have at least been able to provide Diaz with some intriguing and entertaining allies (the Longbow Hunters) and, more importantly, give Felicity a compelling storyline of her own as she has worked so hard to take Diaz down this season that she almost lost herself in the process. 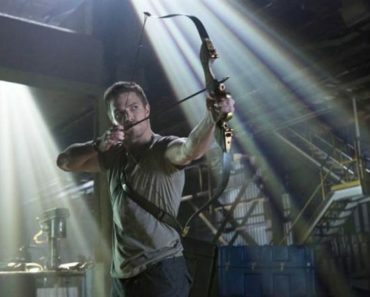 The toll that Diaz has taken on Oliver and Felicity, both mentally and physically, cannot be ignored, and honestly, that’s what I’m most excited to see now that the two of them have been reunited: how do two people come back together after such a long time apart, after such dark and drastic situations have caused them to push boundaries, almost to the point of no return? That toll that Diaz’s reign of terror and Oliver’s time in prison have inflected is also something that I hope Diggle can now recognize after watching his two best friends reunite. The image of Oliver and Felicity’s kiss at the end of “The Slabside Redemption” is significant not just because it shows the two of them together again, but because it serves as a visual representation of all the struggle and heartbreak they’ve been through. Look at the blood-stained face of Oliver, the pain and torture he has suffered in prison. 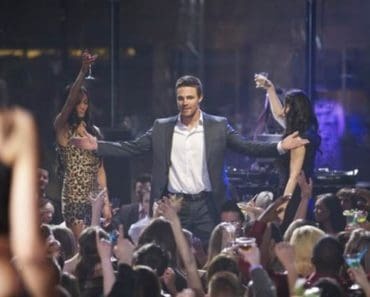 Watch as Felicity pulls him into their embrace with both hands, symbolizing the full, nonstop efforts she has gone to in order to track down Diaz and win Oliver his freedom. Pay attention to how slowly and intimately Oliver puts his hand on her back and pulls her in closer, as if she’s a dream he can’t fully comprehend; he’s spent virtually all of his time in prison clinging to a photo of his wife and son, his family, and now that Felicity is here in front of him, he has to take a second to truly drink the moment, to realize that she’s more than just a photo, more than just a mirage—she’s here and she’s his and he is hers, and no one, at this time, in this place, can take them away from each other. That kiss is a microcosm of Oliver and Felicity’s Season 7 story so far, a story that Diggle, up until this point, has refused to be a part of, as he has stuck to his ARGUS regulations and his own personal, familial interests. But here’s the thing: Oliver and Felicity are Diggle’s family, and maybe, throughout Season 7 and even going as far back as Season 6 as well, Diggle has taken this part of his family for granted. Perhaps, because he’s been with Oliver and Felicity for so many years, he’s begun to believe that they will always be there and that they will always be okay, no matter what. Now, though, as Diggle watches this kiss between the two of them, he’s seeing just how broken his two friends have become; he’s starting to understand how and why Felicity was so desperate to defeat Diaz and rescue Oliver earlier this season. Because despite how strong the love between Oliver and Felicity of them is, it still needs to be nurtured and it’s still susceptible to threats, both external and internal. Oliver and Felicity have had to face those threats separate but together, without any help from Dig at all, throughout Season 7 so far. This battle has left both of them emotionally broken (and Oliver almost physically so). One can only hope that John Diggle will return to the man he was once before and help his two teammates, his two friends, his two family members, repair the damaged parts of themselves and move forward to face whatever new threats arise as the year continues. The fight choreography and the filming of said fights is spectacular throughout all of “The Slabside Redemption,” but I want to give a special shoutout to director James Bamford for that creative and gripping one-take of Oliver and Turner (aka Bronze Tiger) working together to save the guards on two different floors. Everything about the sequence is fluid and seamless and filled with energy. I loved it. Also, speaking of Turner, while I do appreciate that Oliver is willing to give him a chance at redemption and do believe that it’s an important moment in his prison arc, Turner telling Oliver that he can now recognize shades of gray instead of living life strictly black and white rings hollow to me for many reasons, especially because this “shades of gray” lesson feels like something Oliver most definitely learned back in Season 5 when he had to reckon with his own past demons and come to terms with whether or not he himself was redeemable as a person. So Stan definitely escapes Slabside at the end of the episode, after he kills Brick, and is coming for Oliver next, right? There’s definitely going to be an episode in the back half of Season 7 dealing with his new, murderous vendetta against Oliver. There just has to be. “Prison changes people.” “It didn’t change me.” While I think this statement from Oliver is mostly true, we’ll see how much it holds up in the coming weeks as he gets readjusted to life as a free man. Something tells me there’s no way he endures everything he went through in prison and remains exactly the person he was before he entered.